Recruitment outreach and equal accessibility in the application, interviewing and hiring procedures for people with disabilities. Use of on-the-job accommodations, modifications, progressive employment methods, and/or creative solutions for successful training and employment of people with disabilities. Accessible physical structures, buildings, work stations and equipment, and services. Support for the employment of a person(s) with a disability as an overall employment strategy. Montpelier, Vermont, October 1, 2017 – The Vermont Governor’s Committee on the Employment of People with Disabilities (GCEPD) has announced their 2017 “Spirit of the ADA” Awardees from across the state. 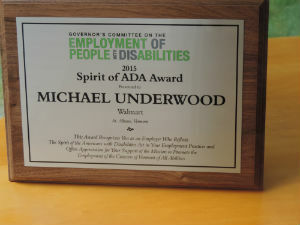 The “Spirit of the ADA” Awards are given to employers who reflect the spirit of the Americans with Disabilities Act in their employment practices. 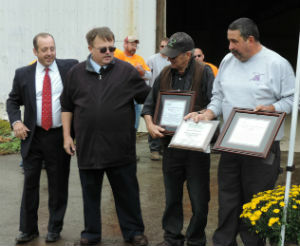 Awardees will be honored at ceremonies being held throughout the month of October. A schedule of the ceremonies is at the end of this release. Recruitment, outreach and equal accessibility in the application, interviewing, and hiring procedures for people with disabilities. *note: all three TJ Maxx stores will be recognized at the Middlebury store on 10/25. See calendar below. The following individuals and their respective businesses will be recognized for their leadership in recruiting and retaining workers with disabilities. Each ceremony will be held at the business location, where a description of the reasons for nomination will be shared and a plaque will be presented. Community members, legislators, media representatives, and company employees are all welcome to attend. From 20 nominations presented, 12 winners were selected who represent the best practices in hiring and retaining people with disabilities. You may find more about them in the link that follows. The winners will be presented a certificate and plaque in October. 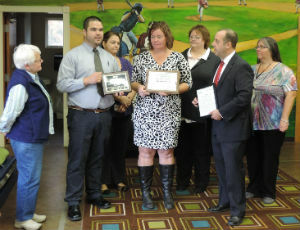 Others nominated were: David Watts and Karen Labombard, Kendal at Hanover Assisted Living, Hanover; Sue Bushee, Burger King, Bennington; Yvonne, Michael and Michele, Price Chopper Derby; Lorraine Goodhue, Goodway Documents, Morrisville; Ian Stewart, Wendy's, Essex Junction; Valarie Corriveau, TJMaxx, Barre; Arthur and Ethan; Montpelier Auto Care Clinic, Montpelier. As a way to recognise employers who not only hire also but keep employees with disabilities the GCEPD developed the Spitit of the ADA award. in 2014 the GCEPD gave out five awards to wprthy employers. In 2015 the GCEPD upped its recognition of employers by giving out 12 awards, one in each of the Division of Vocational Rehabilitation's Regional areas. 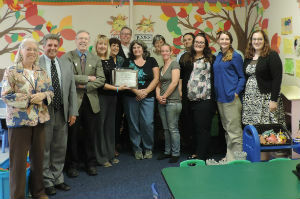 The awards are presented in October each year in conjunction with National Disability Awareness Month. The Governor's Committee On the Employment of People with Disabilities (GCEPD) spent a great deal of time in October awarding employers who make it a habit of hiring people with disabilities. The GCEPD will be visiited all over Vermont to distribute the 12 awards. The first went to Matt Farnham, Hannaford Food & Drug – Morrisville. Attending the ceremony wereDJ Masi, Business Account Manager, Creative Workforce Solutions; Matt Farnham, Associate Relations Manager, Hannaford Morrisville; Shap Smith, Speaker of the Vermont House of Representatives; Christopher Loso, Chair - Governor's Committee on the Employment of People with Disabilities; and Max Neal, Executive Director, Lamoille Region Chamber of Commerce. Michael Underwood, Training Coordinator from Walmart St. Albans received the Governor’s Committee for the Employment of People with Disabilities Award (GCEPD), on Monday morning, October 4th. Neal Meier the executive coordinator of the GCEPD opened and thanked Michael and Walmart. He said hiring people with disabilities wasn’t just the right thing t...o do; it is the smart thing to do, because people with disabilities not only work hard and on average have an 8% turnover rate. 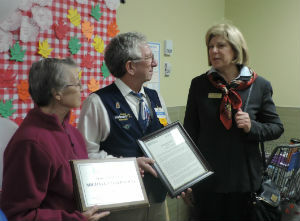 Michael was presented with two plaques before a large packed room at Walmart. It was the morning meeting at Walmart and the event was held in their break-room. In attendance were several Creative Workforce Solutions (CWS) Team Members, Representative Lynn Dickinson; Tim Smith, Executive Director of Franklin County Industrial Development Corp.; Monica Burnor, Vermont Association of Business, Industry and Rehabilitation, (VABIR); who nominated Michael; Michael’s mother Lois Underwood, who retired from Woolworth’s, St. Albans many years ago; and 46 Walmart associates. The room erupted in a huge round of applause. Michael thanked CWS, Walmart, NCSS, VABIR and his fellow associates and supervisors for making his job such a great position. He applauded Walmart for being a diverse and creative workplace and was grateful to work there because they were. The room was decorated in a celebratory theme with balloons and there was cake for everyone afterwards. Shown below is Michael's plaque, and Michael, his mother. and Rep. Lynn Dickinson. Yesterday GCEPD Chair, Chris Loso, presented Spirit of the ADA Awards to FedEx in West Lebanon, NH; to Neomi Luretis of the Springfield, VT Food Co-op: and to Carolyn Stoughton of the Brattleboro, VT adult day care center, The Gathering Place. Chris was accompanied on the trip by GCEPD Executive Coordinator, Neal Meier. 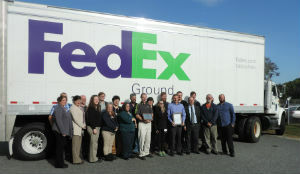 In the first picture below are some of the 17 FedEx employees who are people with disabilities (PWD). This group is hearing impaired.... They enjoying a breakfast provided by FedEx to celebrate the receipt of the Spirit of the ADA Award. 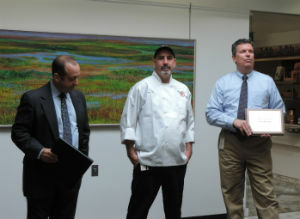 The second picture shows Chris Loso and Brendan Dangelo an Employment Counselor with the Vermont Association of Business, Industry, and Rehabilitation (VABIR) presenting the Award to Keith Culver (on the left), Senior Manager, at FedEx. 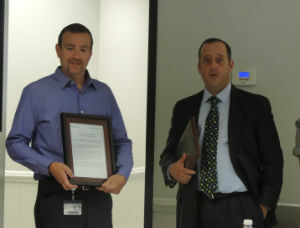 Keith accepted the Award for the FedEx Lebanon. On the far left is Cylyn Revicsky a sign language interpreter used by FedEx. The last picture is of the FedEx employees with Chris and Brendan in front of one of the famous FedEx trucks. After our visit with FedEx in West Lebanon, NH Chris and Neal headed for Springfield, VT to present a Spirit of the ADA award to Neomi Meixner Lauritsen , the General Manager of the Springfield Food Co-op. Neomi is pictured in the blue dress standing with many of her employees. Chris is kneeling in front of her holding her certificate. When Neal asked her why she hired people with disabilities she said that they make great employees so hiring them is good for the Co-op and good for the community. Also in the picture are GCEPD committee member Donna Curtin on the far left and Creative Workforce Solutions Business Account Manager Karin Thomas, who organized the ceremony. After Springfield Chris and Neal's next stop was in Brattleboro, VT to celebrate the work of Carolyn Stoughton, the Volunteer Coordinator at the Gathering Place, which is an adult and PWD daycare center. Carolyn has worked at the Gathering Place for over 20 years and during that time hired dozens of people with disabilities. She said that hiring PWD was good for the community, good for daycare center and of course good for the employee. Pictured below left to right are Dan Skurat, Carolyn and Cindy Delgatto, a Business Account Manager with Creative Workforce Solutions. The Vermont Governor’s Committee on Employment of People with Disabilities (GCEPD), to coincide with National Disability Employment Awareness Month, has scheduled 12 discrete events throughout Vermont in the month of October to honor employers who reflect the spirit of the Americans with Disabilities Act (ADA) in employment practices, including accessibility, recruiting, hiring, accommodating and support of a person(s) with disability as an overall employment strategy. 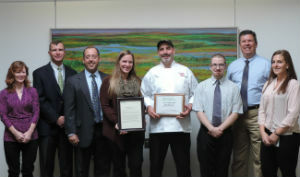 These 12 employers located across Vermont all received the Spirit of the ADA award. The events parallel the 12 Vocational Rehabilitation district offices across the State. The event at the firehouse in Bennington on Friday, October 9th was extraordinary. 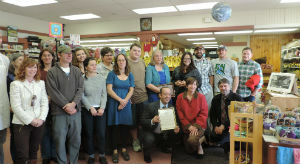 In addition to the annual Spirit of the ADA Award given by the GCEPD Chair, Christopher Loso, to Label Shopper manager, Barb Barber, for her exemplary practices in hiring persons with disabilities, a Special Recognition Award was bestowed upon State Representative William (Bill) Botzow of Pownal. Representative Botzow, Chair of the House Committee on Commerce and Economic Development, was cited for his superb efforts over the past 13 years serving in the legislature in moving forward legislation to improve human rights and equal opportunities in all aspects of societal life, including employment, for persons with disabilities. Creative Workforce Solutions’ Business Account Manager for the Bennington area, Brian Maroney, sponsored the event. Invited and attending guests included many members of the Bennington County legislative delegation, Deputy Department of Disability Aging and Independent Living (DAIL) Commissioner, Camille George, as well as family members of the Label Shopper’s valued employee. During the festivities, the related themes of inclusion, independent living and socioeconomic opportunity for all citizens of Vermont were echoed and emphasized. It was a great event and one which the GCEPD was proud to sponsor. All involved hope to continue the efforts to expand employment opportunities for all and make Vermont a model for workforce and economic development. Pictured below are Barbara Barber the Spirit of the ADA Award recipient. 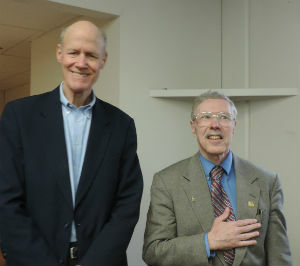 In the next picture is Rep. Botzow with PWD Advocate and Union Institute & University Professor Sam Liss. Sam is also the author of the foregoing article. 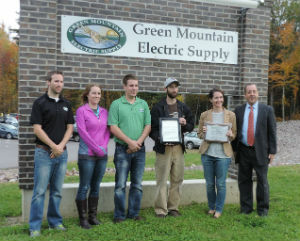 Chris Loso, Chair of the GCEPD and Neal Meier, Executive Coordinator, continued their travels around Vermont with their first stop on October 13th at Green Mountain Supply in Colchester, VT where they presented the Human Resources Manager, Ms. Holly Laber, with a Spirit of the ADA Award. Ms. Laber said that she works hard to hire people with disabilities because they are hard working and dependable. 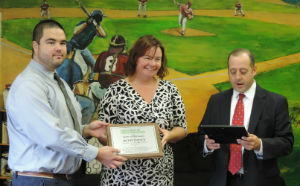 Holly is pictured below holding her plaque. We continued our journey down Route 7 with our next stop in Middlebury. 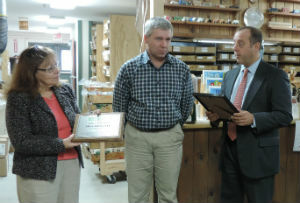 We celebrated with Michael Rainville, owner of Maple Landmark Woodcraft. 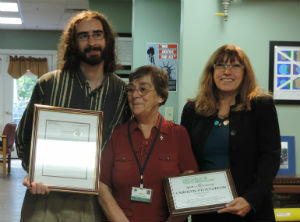 Mike is pictured below holding his Spirit of the ADA Award plaque. Also in the picture are Chris Loso and Mary Ellen Giglio the Middlebury Business Account Manager with Creative Workforce Solutions. Neal made the next stop without Chris who had a TV interview on WCAX in Burlington. 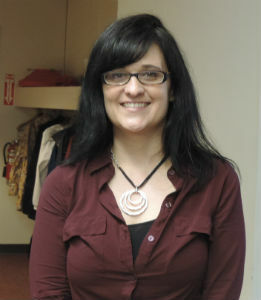 Neal Traveled to Rutland where he met Ms. Sandra Kuc, owner of Vermonsters Childcare and Children's Center. Sandra says that she hires people with disabilities to work with the 70 plus children who utilize the center because PWD are kind, easily trained and loyal. She is pictured below with disability advocate and Union Institute & University professor Sam Liss. 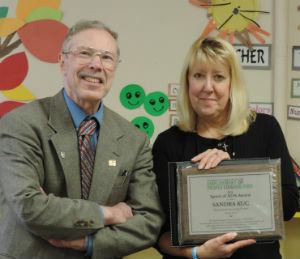 Sam is a member of the GCEPD and he presented her the plaque. In the group photo with Sandra and Sam are two local senators, the President of the Chamber of Commerce and numerous Vermonster's employees. On October 14 Chris and Neal headed East to St. Johnsbury and the Little Dippers Doodle Children's Center and met with Ms. Betsy Bailey, Director/Owner. Chris and Neal were pleasantly surprised to find that the facility was sunny, pleasant, spotless and fresh smelling. The surprise was because the facility served over 150 kids each day. Ms. Bailey said that she hires PWD because they rarely miss work, are pleasant to work with, work well with others and take good care of the children. The picture below is of Todd Gratto the Business Account Manager with Creative Workforce Solutions in St Johnsbury, Betsy and Chris. The last stop in this whirlwind tour week was in Newport, VT and Labranche Lumber Company and its owners, Simon and JP Labranche. The Labranches have 9 mill workers four of whom are PWD. To give you an idea how hard these employees work they cut and trimmed 38,000 railroad ties last year and are trying to reach 40,000 this year. In the first picture are left to right are Neil Morrissette a Business Account Manager with Creative Workforce Solutions in Newport, Simon Labranche, Chris Loso and JP Labranche. The second picture is of Simon, JP and their employees. The last stop on this year's Spirit of the ADA Award tour was in Montpelier at the state capitol cafeteria where Ray Wood is the Executive Chef. Pictured below in the first picture are Ray with his plaque, GCEPD members Donna Curtin, Robert Burke and Chris Loso, Business Account Manager for Creative Workforce Solutions, Nate Piper and two of his co-workers, and one of the persons with disabilities that Ray hired. Ray said that he hired PWD because they were steady, worked hard, employment was good for them and good for the community. Below you will find a link that explains what the GCEPD has being doing to celebrate National Disability Employment Awareness Month which was in October. The video shows Chris Loso the chair of the GCEPD and Hugh Bradshaw, the Director of Creative Workforce Solutions.